These shoes are on serious repeat at the moment. Love pairing them with a pair of cropped jeans. I know some people are of the school that blue and black don’t work, but let me tell you, I am into it. The perfect plaid look for a super chill date night with my boo. Natali - Beautiful shoes and bag! You look amazing! Christina Storm - Love this look! The distressed denim is perfect! Courtney - This look has a great vibe! 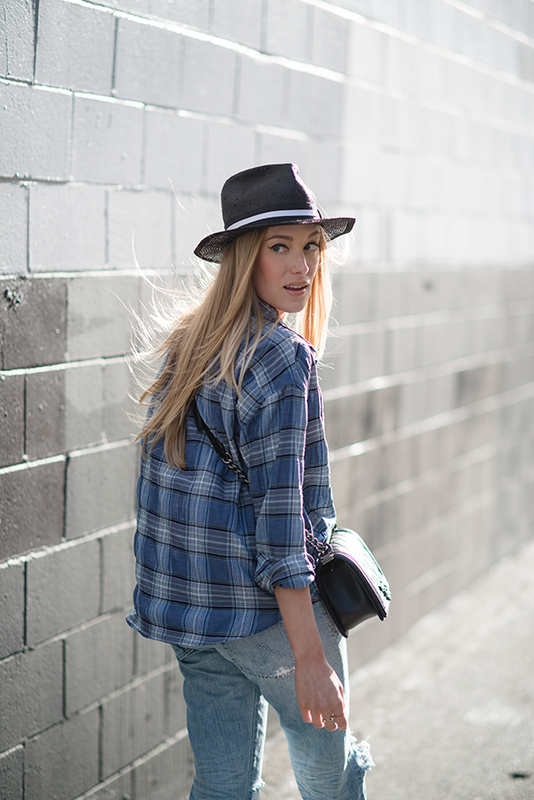 Love the plaid top and your hat! nikki - those jeans are perfect! Karen - Dressing in Labels - Amazing bag! Fashion Musings Diary - Great shirt! Gladys - That’s just the perfect hat… love it! Melissa - Very cute look! Love the jeans! Erin - I am in love with that hat amazing styling !